In an effort to provide students the opportunity to gain real-life work experiences, INTI International University & Colleges (INTI) collaborated with UBER Malaysia, a one-of-a-kind service provider with a dynamic approach to doing business. As a young, growing organisation, UBER presented students the chance to gain hands-on experience into two significant parts of its business – research into starting up new markets in Malaysia, as well as the development of advertising ideas to boost its brand. The two month long project was simultaneously launched across three of INTI’s campuses, including INTI International College Subang, INTI International University, Nilai, and INTI College Sabah. At the end of the project, students were required to present their proposals to UBER Malaysia’s Head of Marketing & Partnerships, Lakshmi Patmarajah, as well as representatives from UBER’s management team. INTI’s collaboration with UBER was made all the more relevant as it aligned classroom learning to actual hands on practice of subjects being taught. 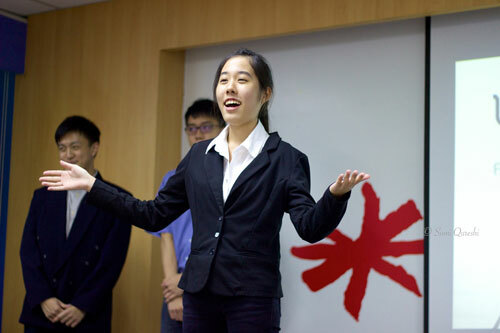 Across the three campuses, four specific classes focusing on business, advertising, economics and creative thinking skills were selected to carry out the projects, creating a holistic understanding for students spanning theory to practice. “Our goal at INTI is to not only provide students knowledge but to prepare them for the demands of the working world. As competition increases to hire the best and brightest, we strive to match graduate outcomes with employer expectations. The exposure to employer projects such as those with UBER enriches our curriculum and better prepares our students for their career needs tomorrow,” he concludes.